Mahogany, copper and amber: Savour the colours of Armagnac and its home, the friendly wine district and heritage-rich region of Gascony. Winding among wine cellars and ancient stone, the vineyard and heritage route takes you to the most beautiful villages in Gascony, where you can enjoy historic monuments as well as the vineyards whose simple elegance is an essential part of the prestigious Armagnac brandy. The must-sees? Condom, the historic capital; Saint-Puy, the birthplace of the Pousse-Rapière liqueur; the Cistercian abbeys of Falaran; and the fortified village of Larressingle, described as ‘the little Carcassonne of Gers’. 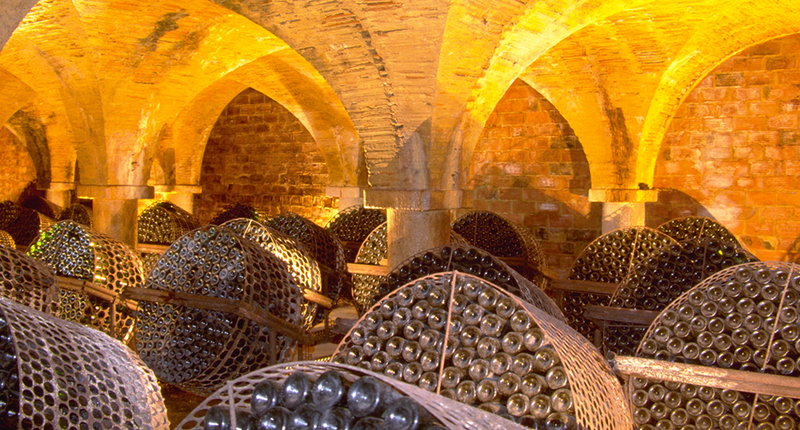 All along the route, the largest wine cellars of the Armagnac district are open for tastings.